Boss Buck heavy-duty 2" steel pulley - 1000 lb capacity. 7/32" maximum cable size. 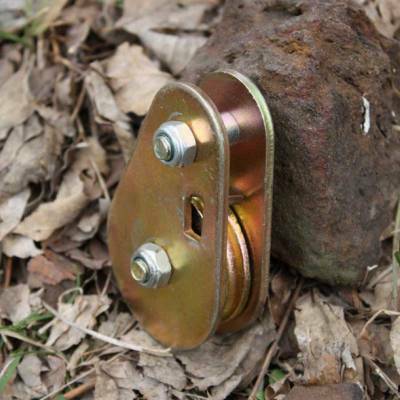 Great heavy-duty pulley for building your own hanging feeder and game skinning racks.